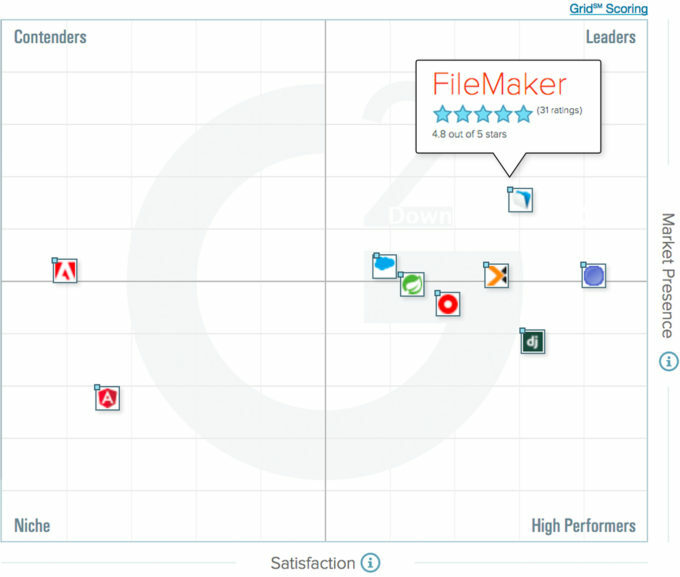 Oct 11 2016 – Today FileMaker, Inc. announced that it has been recognized as a Leader, the highest ranking possible, in the G2 Crowd Rapid Application Development Grid. Ninety-four percent of users rated the FileMaker Platform four or five stars, and 96 percent of users said they would be likely to recommend FileMaker software. The company also earned the highest overall market presence score. G2 Crowd is the leading peer-to-peer business software review platform.